Tyler exceeds National Recreation and Park Association (NRPA) standards for a city of 100,000 in the number of baseball fields, soccer fields, and playgrounds. Multi-purpose trails are located in Rose Rudman Park, Southside Park, Legacy Trail, Lindsey Park and Faulkner Park. Plans have been made to add trails in the Black Fork Creek Greenbelt, South Tyler Trail Extension to Faulkner Park, The Missouri/Pacific Railroad right-of-way is also being looked at for a multi-purpose trail. 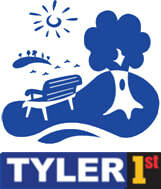 Tyler’s developed park acreage of 7 acres per 1,000 residents is slightly below average for a city of its size. 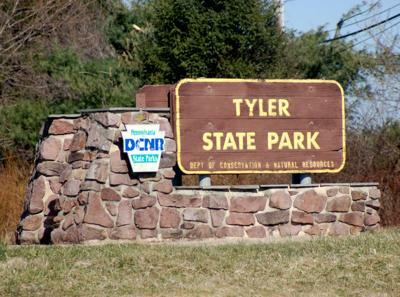 Tyler has fewer Neighborhood Parks, Community Parks, and Regional Parks than recommended by national recreation organizations. Parks generally are not distributed equally around the city. Public trail systems are limited in extent. 60% of respondents to the 2010-2020 Master Plan survey were satisfied or very satisfied with the number and quality of recreational facilities. Smith County is home to one of the most visited state parks in Texas. Tyler State Park encompasses 985 heavily-wooded acres surrounding a 64-acre spring-fed lake.